For Ms. Rajabova, the immersive experience is created with loving care and the most unique perspectives. 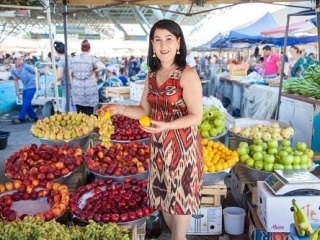 With local, specially trained tour guides, the relationships that Zulya maintains give her travelers opportunities that no other service can provide. 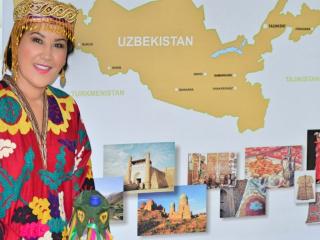 She takes great pride in showing off her home city of Bukhara, Uzbekistan! One of the most ancient cities of Uzbekistan, Bukhara boasts over 3,000 years of history, playing a central role in the development of the Silk Road connecting Europe with Asia! The legendary cities of Bukhara, Samarkand, Khiva and Tashkent are waiting for you in Uzbekistan. 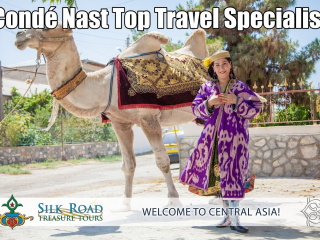 Highlighting the optimal season for travel to Central Asia, her tours run from April - November each year. During that time, her guests enjoy the best of local culture - Festivals, Bazaars, Colorful fabrics and craftspeople, and often a traditional village wedding! The convenience of luxury accommodation and dining combined with fabulous landscapes, fascinating experiences, and a hearty camel ride gives her clients an appreciation for local and regional culture without sacrificing comfort. 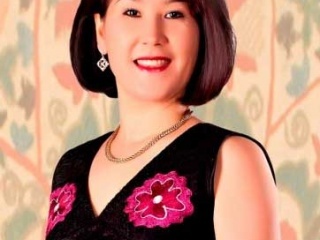 As the only Central Asia Specialist, Zulya will be attending the upcoming Pure Life Experiences annual conference in Marrakech next month. "Our community of like-minded mavericks push boundaries to create life-enriching experiences" - Pure. Sary-Chelek Lake in the Sary-Chelek State Biosphere Nature Reserve. Photo: Ushakov V.
In mid-July 2016, Silk Road Treasure Tours owner Zulya Rajabova was invited to the White House to discuss international trade as part of the Leadership council. The opportunity allowed her to meet with Ambassadors and advisors further strengthening her relationships in Central Asia. 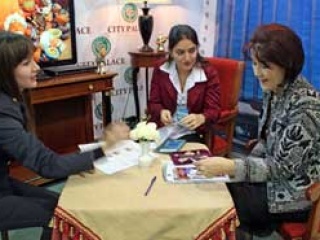 As part of her unique travel business and the industry as a whole, support for the TPP brings employment opportunities to not only her homeland, but also to the United States with support staff.